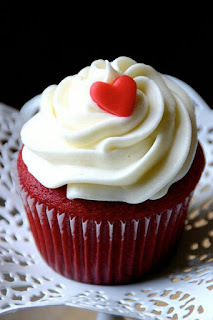 Talkin' Cake is an interactive baking blog site hosted by Monica of Kerilicious Cake. A Cake Designer with a passion of all things sweet. St. Patrick's Day is always a special day at my house. It is my sister and I birthday. Yes were Patty's day babies as they say. We never had to wear green because we had green eyes. When we were growing up neither one of us could decide what type of cake we wanted so we always got half chocolate and half vanilla. But now that she is with Jesus, my daughter and I make all types of desserts . This year I am making Banana Pudding. Here is one of my daughter's and my favorite dessert to make in previous years . 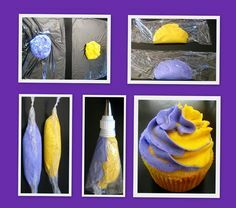 These two cupcakes are easy, and you cam make with kids. They are Mint Chocolate Chip in honor of my sister. Preheat the oven 325 degrees . Bake cake according to directions . 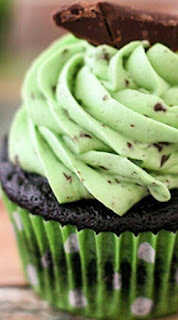 Then take the frosting tub add the mint flavoring and 1-2 drops of green food coloring. or until desired coloring and flavor. 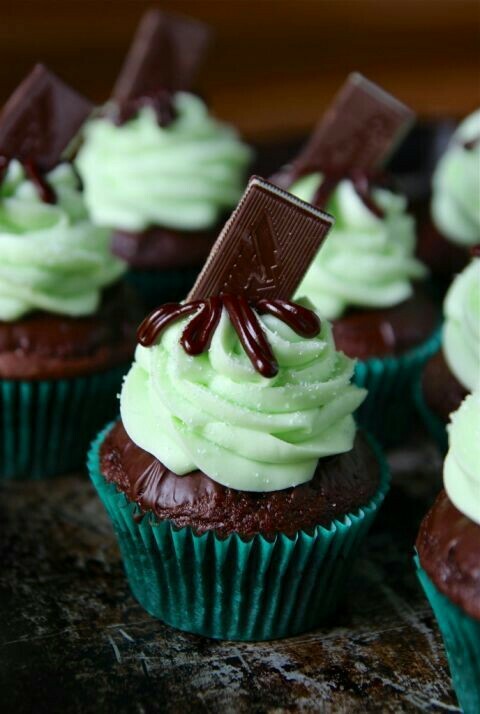 Then ice your cooled cupcakes add the Andes mint candy crush in the icing or drizzle chocolate then top with the whole candy. So make this Delicious cupcakes with your kids and Celebrate St Patrick's Day!!! Who knew we had another Holiday in September besides Labor Day. I had no Clue!, It's National Strawberry Pie Day. Who needs an excuse to have pie, I sure don't!! 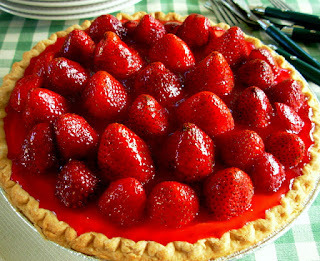 Help me this September 28th, Celebrate National Strawberry Cream Pie Day By making your family a pie! 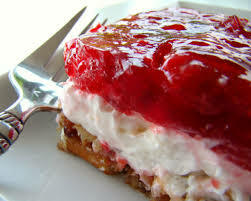 Here;s a simple Strawberry Cream Pie recipe! Stir Strawberries with the glaze in a bowl and place in the refrigerator to chill. Stir the cream cheese and powder sugar, cinnamon and vanilla extract together in a bowl. Set aside. Beat the heavy cream in a bowl with the whip attachment just until it begins to thicken, add the cream cheese mixture and continue beating until thick. Pour the cream mixture into the bake pie crust, top with the Strawberry mixture. Viola Enjoy!!! I LOVE Cheesecake! Who's with me? Any flavor, doesn't matter. Cheesecake can be intimidating. Let me simplify it for you. Its just great cream cheese and mixing the correct way. Do these steps and you'll never Go wrong!!!! 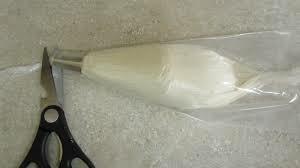 Step 2: add your sugar and cornstarch ( or flour) to the cream for 1-2 minutes. Step 1: Crust the crackers in food processor. Step 2:Melt the butter in the microwave for up to 45 seconds. Step 3: Pulse into your crackers . The mixture should resemble wet sand and hold together in a clump when pressed together. Step 4: Transfer to a Spring-form pan that is wrapped in foil. Step 5: Press the crust into the pan with your fingers or a glass jar. Step 6: Bake for 10 minutes until golden brown on the edges. 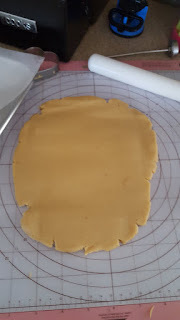 While crust is baking prepare your cheesecake filling. For all those who love toppings. Here are so simple topping ingredients. Any pie topping Cans and caramel ice cream topping or even hot fudge sauce. You can make you own pie filling with just any berries and Sugar, and cornstarch slurry cooked until thick. Here is a recipe 1 Cup Sugar , 1 pint of Strawberries, 2 tablespoon cornstarch and water. . Cut the strawberries over medium heat then drain the juice and put it back in the pot. Continue to cook over medium heat add the cornstarch slurry ( cornstarch and water the consistency of milk) cook until thick. Then add back the berries. Hey all you Love Birds! I have a simple and easy way to surprise that special someone in your life. I love to surprise my Family with their favorite Desserts, just with a Valentine's Twist. 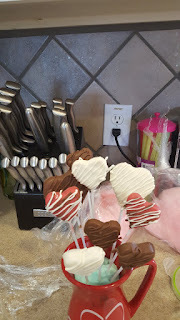 I am going to share this years Sweet treats. So lets get started. Step one: take cake crumbs and icing and mix until a play dough texture. 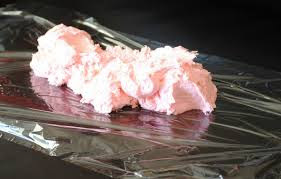 This can be a 6 inch store bought cake and 1/2 a Betty Crocker tub of frosting. 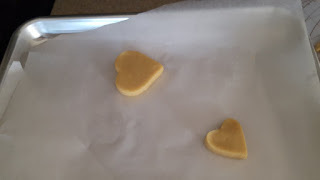 Step Two: Use any cookie cutter to cut out the shapes desired. 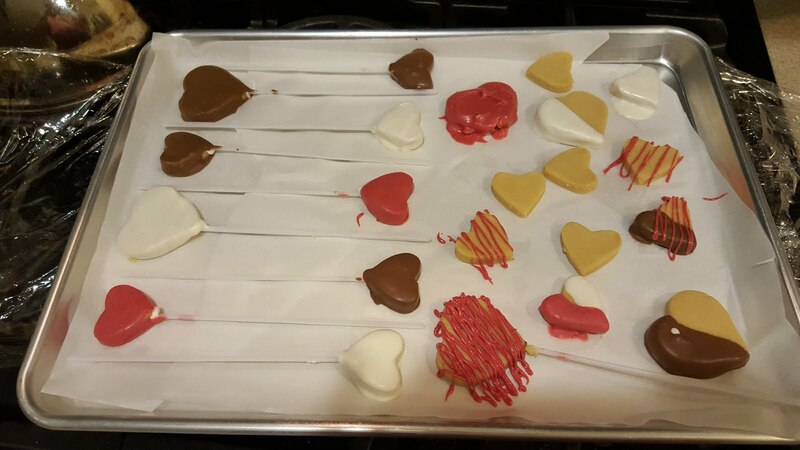 Step Four: Now use melted Chocolate to decorate you cake pops. This can be candy melts, baking chocolate, chocolate chips. I always like to add 1 teaspoon of shortening to my melting chocolate this helps it stay smooth. 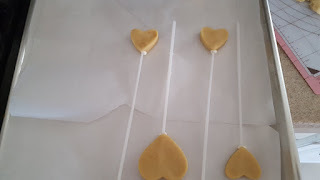 Step Five: You can arrange them in a vase I use a Fondant ball to hold the sticks into place. you can use the colored marbles that go into candles. You just need something to hold you cake pops up right. Some other worthy mentions that are easy but are sure to Impress. 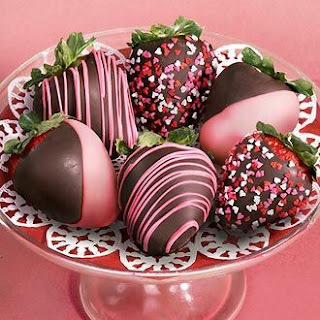 So if you like me and want to make you Valentines, these are all Great Delicious Treats that are a HUGE Success. 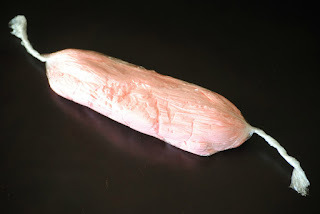 As Father's day was fast approaching I was debating what to make for my husband this year. You guessed it, normally it was cakes anything from Cherry Chip, German Chocolate to Peanut Butter Cake. But this year I wanted to make something extra special. I dogged through tons of recipes until a dessert I haven't made before "Strawberry Jell-O Delight" jumped out at me. I found out that Strawberry Jell-O Delight was a childhood favorite, his mother made him. So what better way to celebrate him then by making something he already loved. 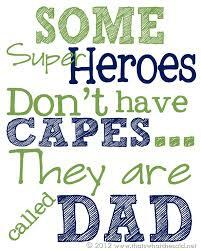 I want this day to be super special for my hubby because he is a fantastic Super dad. He make sure we have everything we need. My Husband takes care of everything when I'm down like a champ. Couldn't get through a day without him by my side, he is a cheerleader, cuddle bug, and warrior. Great Dads are this everyday for their children, I'm so glad that mine got a good one. What's your favorite Dad moment? My favorite dad moment, when I was growing up was going to basketballs games, yelling over everyone, and stuffing our faces with Hot Dogs. We all need to show the Dads in our lives how much they mean to us, and cherish every moment. I love this imagine, I think it says it all..
Don't forget to say Happy Father's Day to your Dad. Make plenty of memories!!! My students all ask me if "I know a trick that keeps their bags clean?" 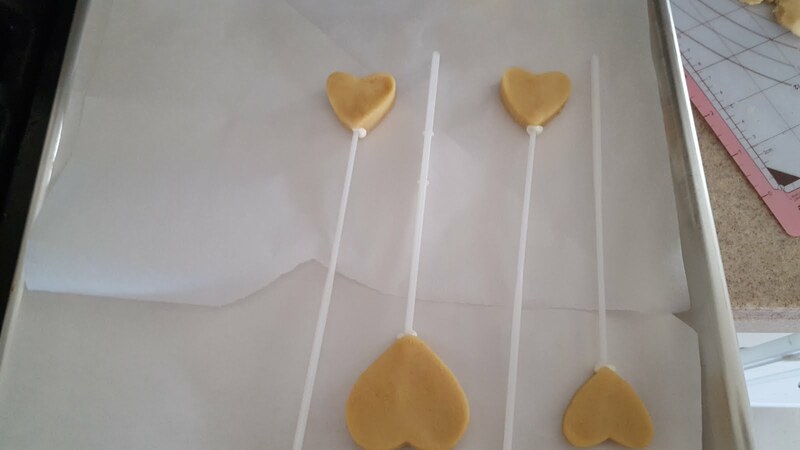 That's piping bags: disposable, feather weight, and etc. This tip will save you money. THIS IS A MUST READ. 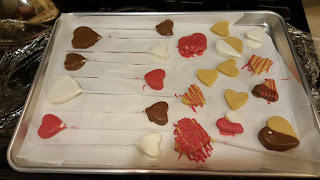 Here's what you'll need : saran wrap, icing( homemade or store bought), any piping bags. What I am about to share with you all is top secret, so listen closely. Here's step 1: Place about the size of sheet of paper of saran wrap on the counter. Then take some icing from your container. Place icing on the saran wrap. As shown in the photo. 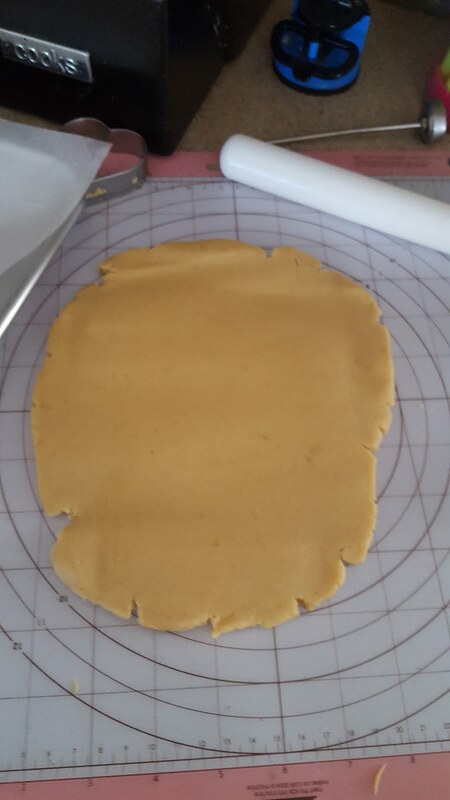 Now step 2 : Take your icing and roll it long ways like cookie dough. As shown in photo below. 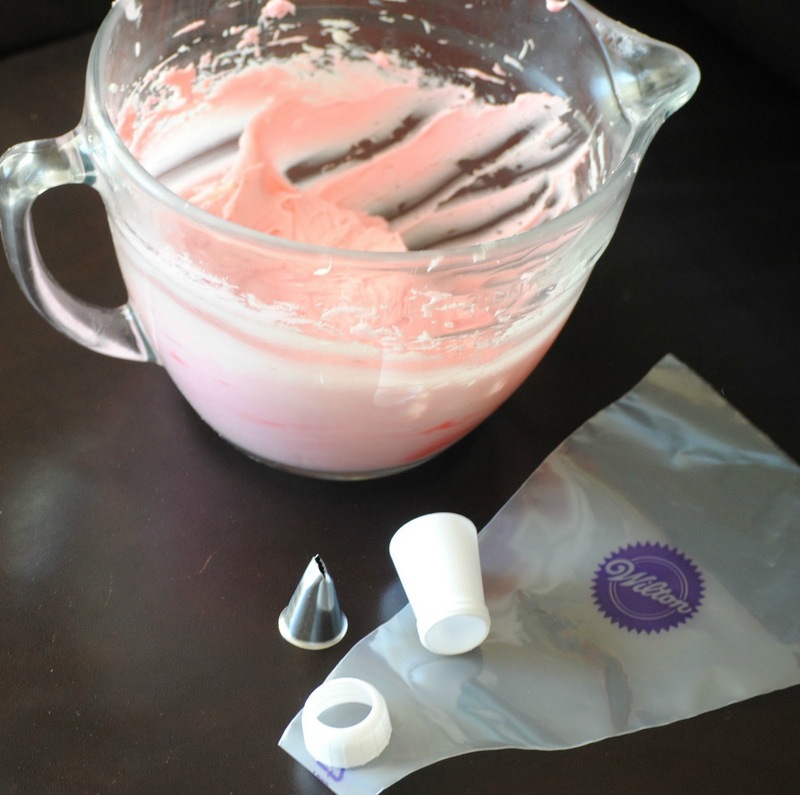 Now step 3: Get your piping bag (any type). Take the top of the bag, roll it down like a cuff around top of hand. Now get your icing that is rolled into a log like cookie dough shape. Place one end down into the bag, pull the saran wrap string all way through the coupler. As photo demos. Now your final step: Cut the end off the saran wrap that is coming out the coupler or tip. As shown in photo below. Pip your decoration as normal. Then just remove the saran wrap piece, while keeping you bag clean. 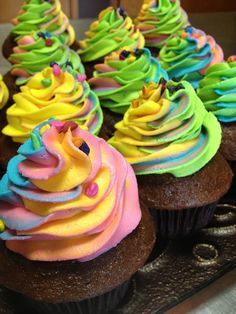 My 2 favorite reasons for this trick is Easy clean up, and I can do this with multiple colored icing and get multi-colored decorations. As shown in the photos below.
" I Thought better late then never, Sorry for the late Post, had some technical difficulties." As I prepared orders for this upcoming Mother's day, I thought we all need to show our hero mom's how much we care. 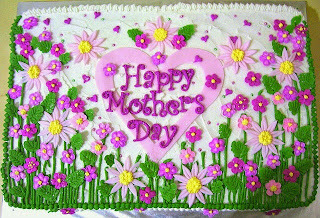 A great way is making our mom's something with our hands. 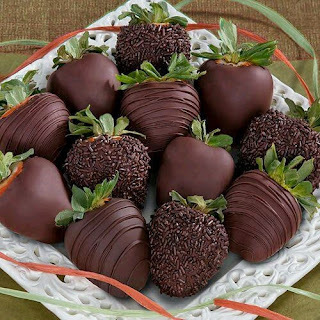 My way is to satisfy all their sweet teeth with things homemade and scrumptious. My number one choice is Chocolate cake with Ganache and Red roses. Cuz who doesn't love chocolate, right? 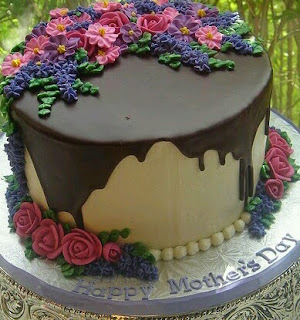 I make this every year for all those special Mother's I know. This poem says it best: by Helen Rice. So remember, cherish your mother's . Always tell then how you feel, and Give them sweet treats. 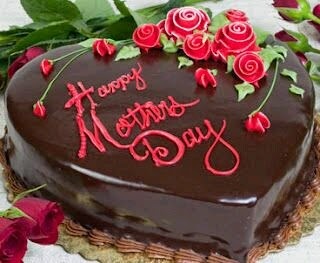 I hope all you Mother's out there have a blessed and relaxing Day!